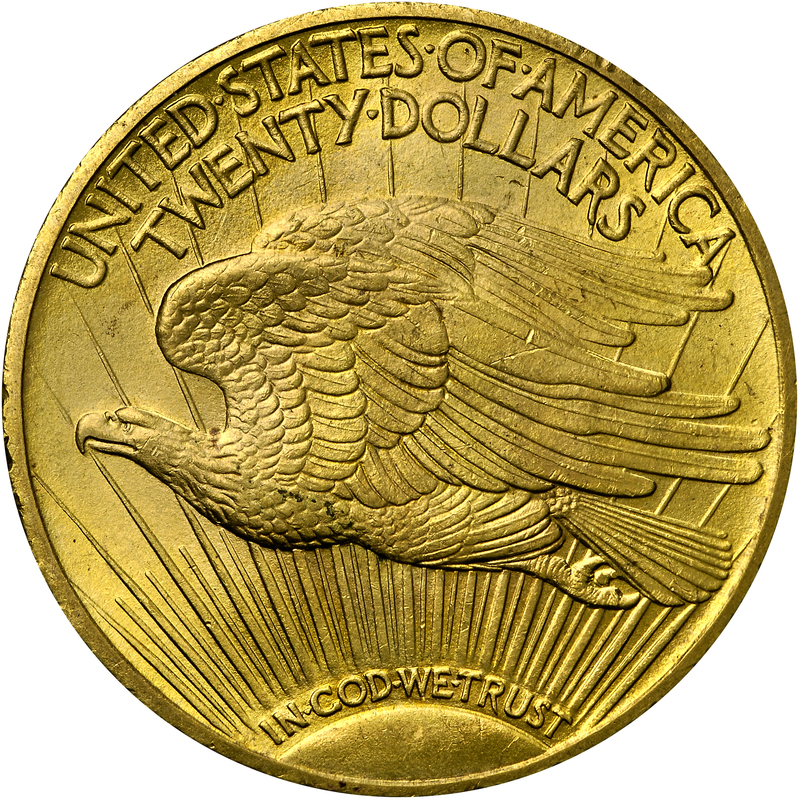 This issue concludes the Harry W. Bass, Jr. Collection of United States gold type coins. 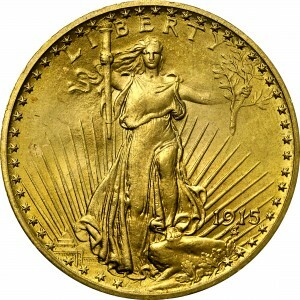 The obverse has been modified to include 48 stars, with the addition of two stars representing Arizona and New Mexico. 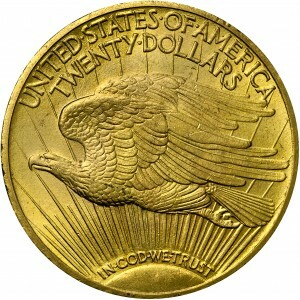 During this period, economic conditions suffered as a result of the World War and the double eagle served international trade, which meant it was almost never seen in circulation. Purchased from Goliad Corporation, August 6, 1981. As preceding, but now with 48 instead of 46 stars around the obverse border.